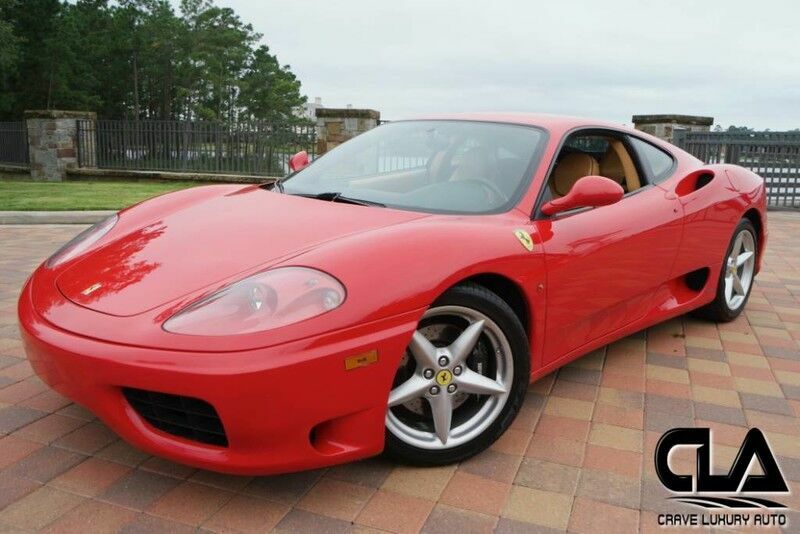 Client Advisor - This driver quality Rosso Corsa over Tan Ferrari 360 Modena F1 is optioned with the following: Challenge series rear grille 3M Clear Bra Aftermarket shields Sport exhaust Black Rev counter Aftermarket radio unit Nero contrast piping on seats Spare tire Full electric seats Only 34,691 miles. Recently serviced which included new spark plugs, O2 sensors, Fuel pump, and a battery. This Ferrari like all previously owned vehicles here at CLA went through our own rigorous inspection process performed by our Master Technicians. Call to schedule your appointment today! Crave Luxury Auto is located Just north of Houston, Tx in The Woodlands. Our service center is just across the street from our showroom. Please call us with any questions you have in regard to this vehicle at281-651-2101.